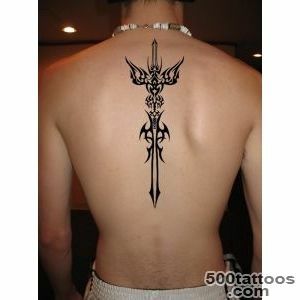 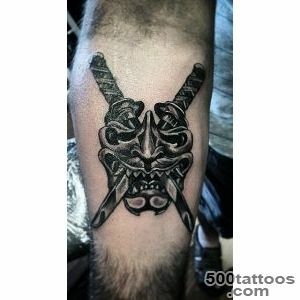 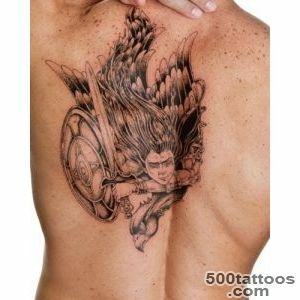 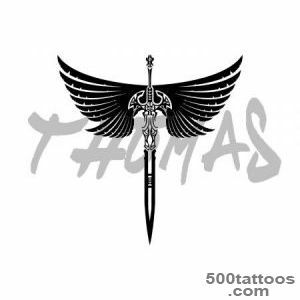 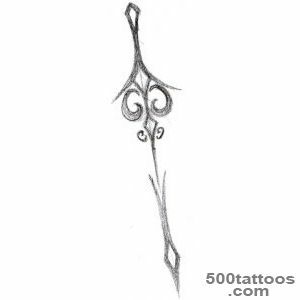 Tattoo sword is considered a male tattoo that symbolizes the courage and honor , awareness of their own destiny . 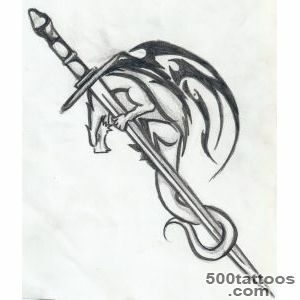 A woman with a sword - it is an Amazon or one that mourns his loss . 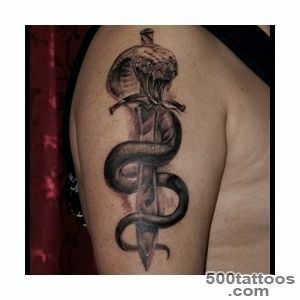 Sketch of tattoo sword often includes other characters, such as the skull , snake and so on . 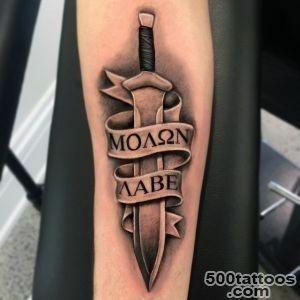 D . The most common pattern is applied to the upper arm , thigh , shoulder.Sword - ancient weapons of justice , a symbol of the struggle for life , for their ideals , struggle with the enemy . 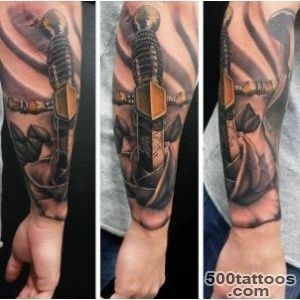 Sword recreates the image of a warrior ready for battle . 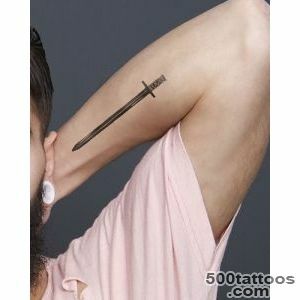 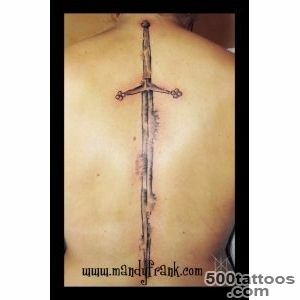 Most of the sword is considered a male tattoo. 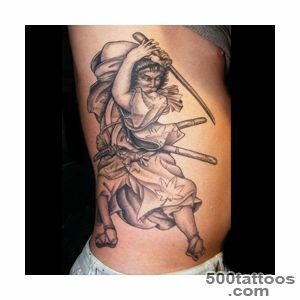 Woman on the body which depicts a sword - a warlike or Amazon or one that has lost loved ones in battle . 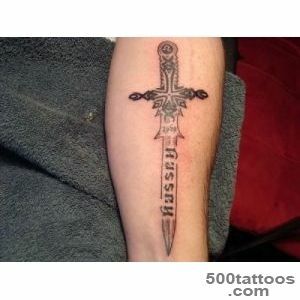 In the latter case, the sword ,entwined with ivy and flowers , will be the memory of the loss. 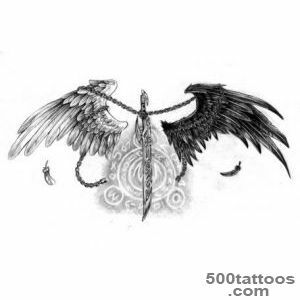 awareness of the inevitable and tragic fate . 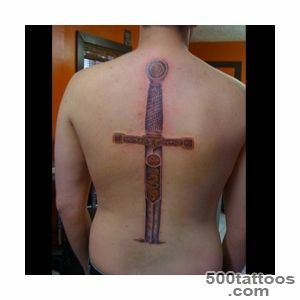 Religion, philosophy and art of using the sword as one of the brightest symbols . 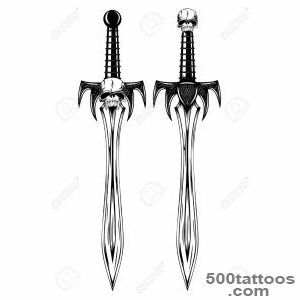 The sword - a symbol of death and struggle against it , the symbol of uncontrollable forces and justice,evil sign and an instrument of protection . 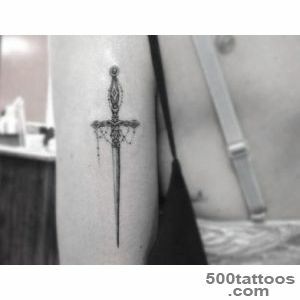 The sword - a symbol of the struggle against ignorance and stupidity in Buddhism . 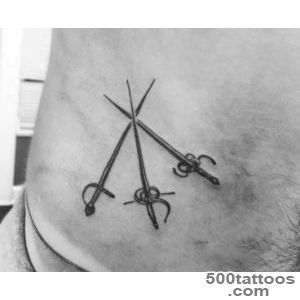 The symbolic image of the seven swords piercing the chest of the Virgin Mary , displays seven afflictions that torment the human soul . 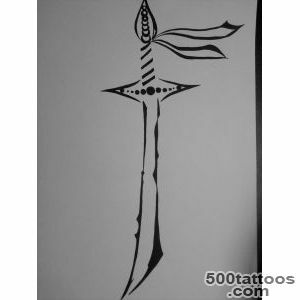 Kabbalah uses a sword as a symbol of balance . 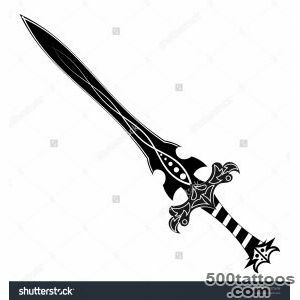 The essence of the sword - a weapon that can cause death . 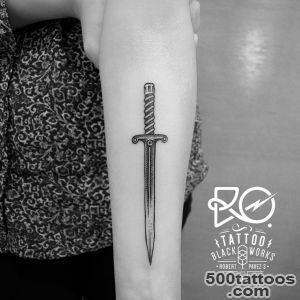 Anyone who owns a sword ,ready to use it in battle, ready to take away life and to risk their lives . 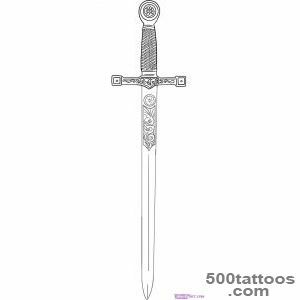 Sword - one of the few images that do not apply without the background or characters that complement it. 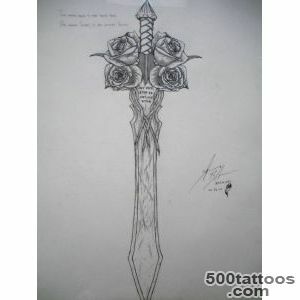 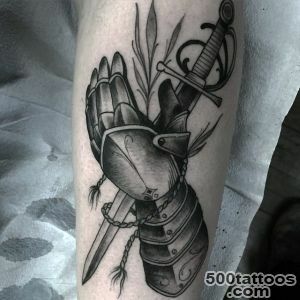 Each combination with other object changes the value tattoo sketch sword. 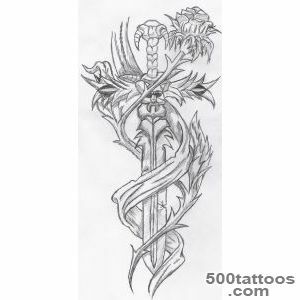 Sword , entwined with flowers and ivy - the loss of the symbol indicates thatthat loved one was killed in combat. 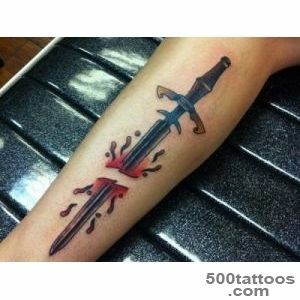 The sword that separates a man and a woman - a weapon that is shared by a couple , says about the purity and innocence of their relationship. 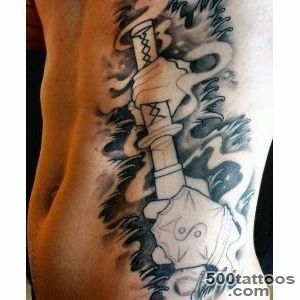 The sword in the scabbard vdet symbolizes strength , which is endowed with balance and reasonableness . 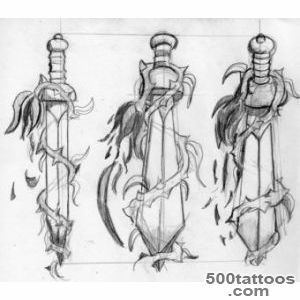 Sword of Damocles - a symbol of inevitable fate , the transience of happiness and prosperity . 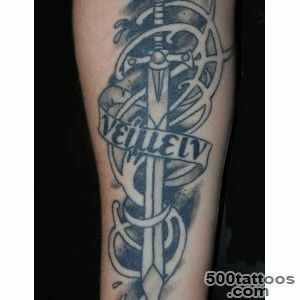 Sword broken signthe owner conceded defeat in his life , he has experienced an irreparable loss , lost faith in life . 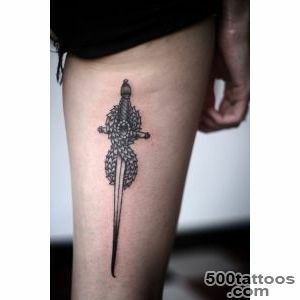 Sword dancing figure expresses a desire and willingness to confront death in all its manifestations . 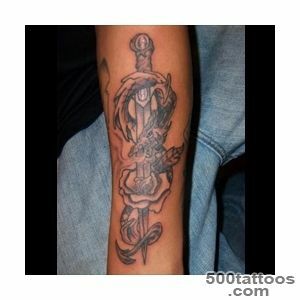 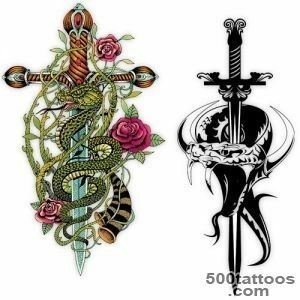 The Sword and the snake symbol of temptation and temptations of life. 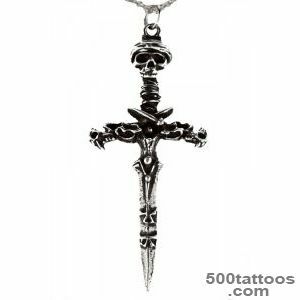 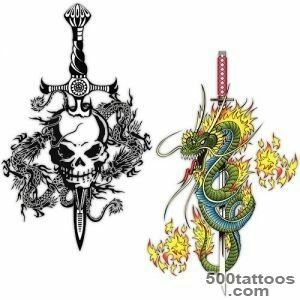 The sword and the cross the symbol of unity , brotherhood , good union.Sword and skull (sword pierces the skull) symbolizes the confrontation of death . 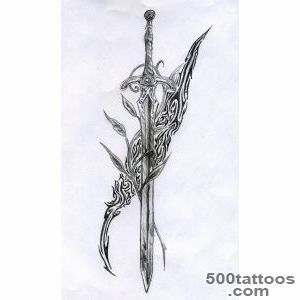 Sword broken - image shows a large loss , loss , life impact , which can not be recovered . 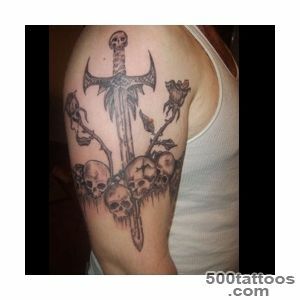 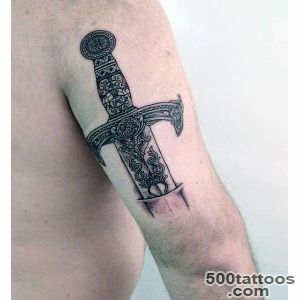 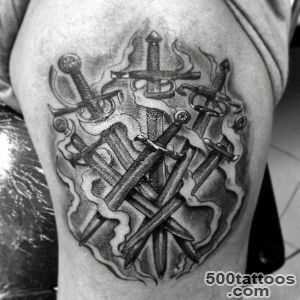 Tattoo Sword - a large image , surrounded by a pattern and symbols . 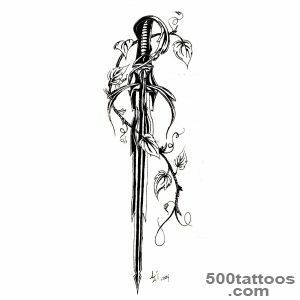 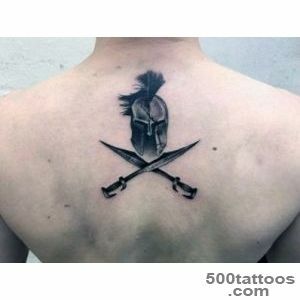 The image requires considerable space - it reflects the particular philosophy of the owner .Located sword tattoo on elongated parts of the body : the back , leg, arm . 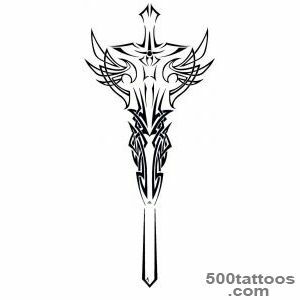 At its core, the sword - men's arms, requiring strength and fighting skill. 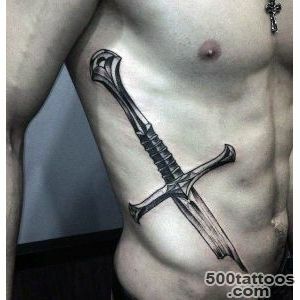 The image of the sword reflects the essence of masculine and fit men . 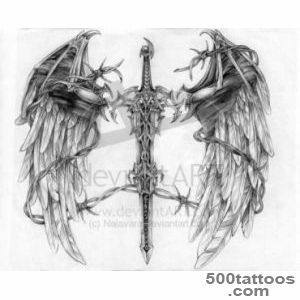 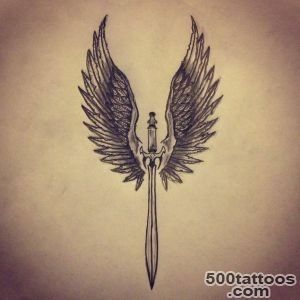 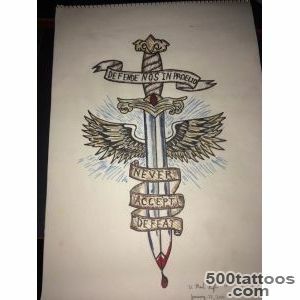 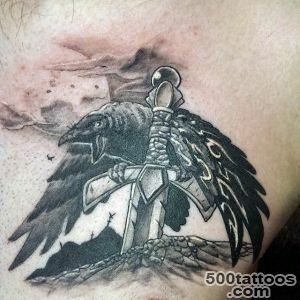 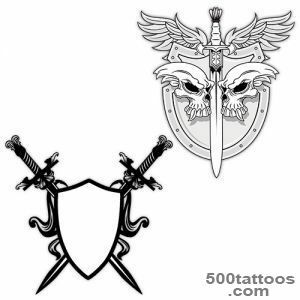 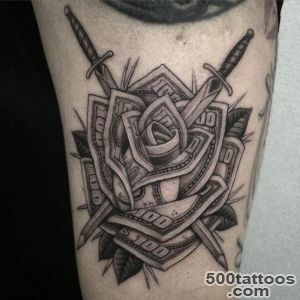 Your tattoo artist is simply obliged to draw the sketch for you a unique tattoo with the image of the sword , taking into account your preferences .